The Story Night Experience is our first gala of its kind, meant to be a one-night event with year round – and possibly lifelong – impact. Its activities will benefit our life skills, college prep, and workforce development programming. Mosaic’s young artists will perform theatrical and vocal music pieces, supported by the budding expertise of our Backstage technical theater program apprentices. We will highlight stories of every day courage and are asking guests to submit stories of challenges they faced as middle and high schoolers and how they learned to be brave. 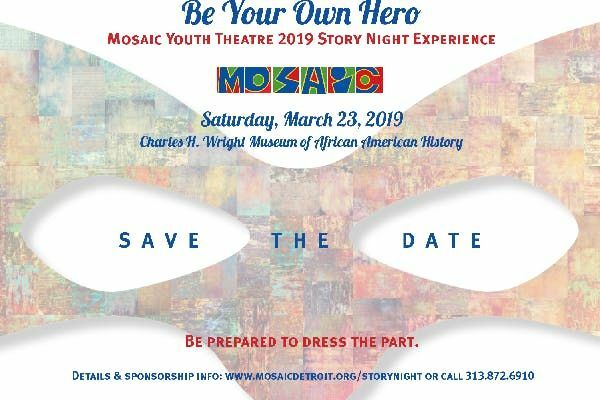 Gala will be preceded by two activities earlier in the day: A Prologue event for Mosaic’s young artists and specially invited guests at which 2-3 industry professionals each share something they had to overcome in order to get where they are in their careers. 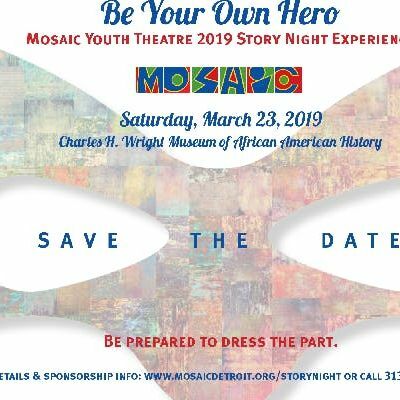 After the Prologue, we’ll host a VIP Reception at which we’ll celebrate the vision of Founding Artistic Director Rick Sperling as he prepares to retire from Mosaic. 4-6 p.m. A conversation between Mosaic's young artists and special guests explores the theme of overcoming fear and learning to be brave. A chance at Happily Ever AfterWe’d love our guests to share their stories of overcoming fear, finding their voice, or defeating an inner or outer bully. To participate, simply write a note of about 150 words that can be shared with a middle or high school-aged student. You can sign your name or submit anonymously. All notes will appear in the evening’s printed program, Stories of Courage, and they’ll be shared with our Young Artists during the Prologue segment of the evening. We hope you inspire them the way someone inspired you. Please email your note to c3RvcnluaWdodCB8IG1vc2FpY2RldHJvaXQgISBvcmc=. Anonymous notes can be mailed to our office at 2251 Antietam Ave., Detroit, MI 48207.